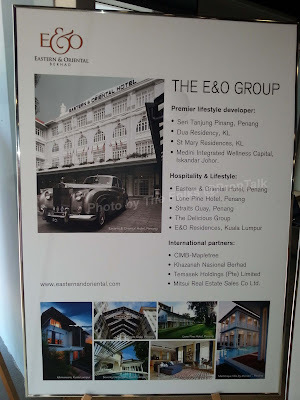 The wife and I were invited by E&O Property Development (property division of the E&O Group) to attend a talk last week on property investment opportunities within the Kuala Lumpur (K.L.) City Centre. The talk was held at the E&O Singapore Property Gallery down at Beach Road, located next to Raffles Hotel. 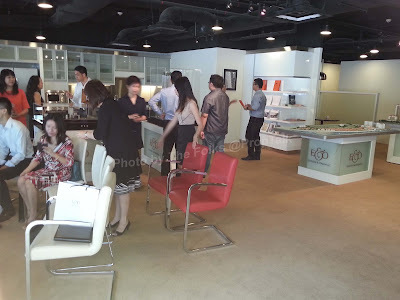 It was an intimate gathering of eight bloggers (ranging from property to lifestyle) and several staff from both the E&O Singapore and Malaysiaoffices. Given our long standing desire to remain anonymous, this is the first time we have decided to "show face" at an invited event. The wife and I do know of the Eastern & Oriental (E&O) Group, but primarily as a hospitality and lifestyle company. They have a substantial presence in Penang, whereby their historic Eastern & Oriental Hotel located in Georgetownis the iconic equivalent of our Raffles Hotel. But we are rather surprised to learn that E&O is actually headquartered in K.L. (instead of Penang) and is a major private property developer in both Penang(where they are the largest land banker) and K.L. as well. St. Mary Residences, a luxury private residential development located just off Jalan Sultan Ismail within the heart of K.L. City, has just received its occupation permit and is currently 98% sold. This is one development that the wife and I had considered buying into during its launch in 2009. The launch price back then was around RM900psf - the current asking price has increased to upwards of RM1,500psf! *shucks* Current rental at St. Mary can supposedly fetch around RM7psf per month, which translates to a yield of 5.6% even for units bought at the current (RM1,500psf) price. Upcoming developments such as the Kuala Lumpur International Financial District (KLIFD) and Bandar Malaysia is expected to attract more foreign direct investments and influx of expatriates coming to work in the city. Malaysia was ranked by World Bank in 2012 as the 12th most competitive economy in the world for doing business. It also ranked the country 4th in the world in the category of "protecting investors" and #1 POSITION in the category of "ease of getting credit". According to the Global Property Guide 2012, the average gross rental yield for residential properties in Malaysia is 6.21% (as compared to 2.95% for Singapore). This places it fourth highest in the Asia Pacific region. Property prices in Malaysia have grown 20% over the past 5 years. Only China, Hong Kong and India within the region have seen higher growth rates. Capital gain tax is applicable for private home resale in Malaysia. The rate is 15% for resale of homes with less than 2 years of ownership, 10% for ownership of between 2 to 5 years and zero tax for those who have owned their properties for 5 years or more. However, do note that "ownership" starts once the Sales &Purchase Agreement (SPA) is signed. Given that typical project construction period takes about 4 years, one will only have to hold his property for about 1 year before he can resell without incurring any tax. The proposed 300km high-speed rail link between Singapore and K.L., which is targeted to commence operation by 2020 and will cut the journey time to 90 minutes, could allow expats to live and work in either city. The rail link is touted as a "game changer" and will likely result in further appreciation of private residential home prices in K.L. 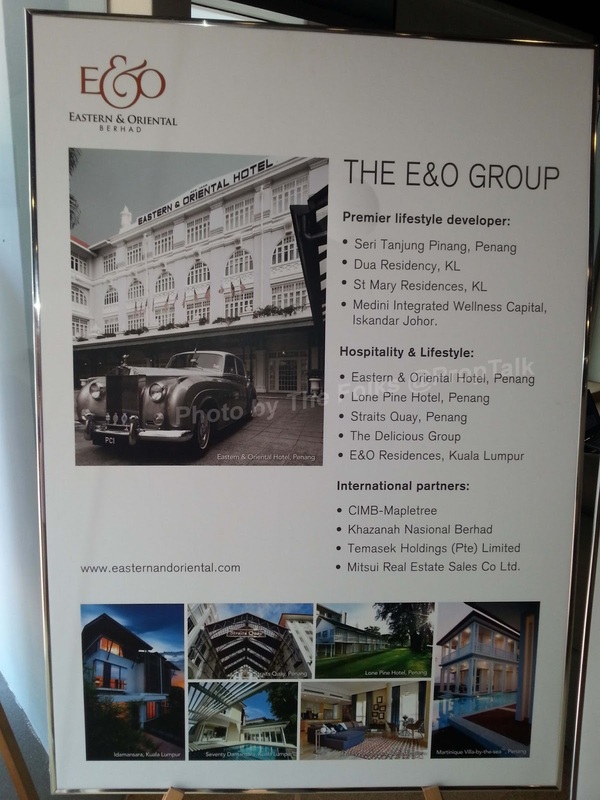 The E&O Group have been a major developer of private residential projects in K.L. over the past years. 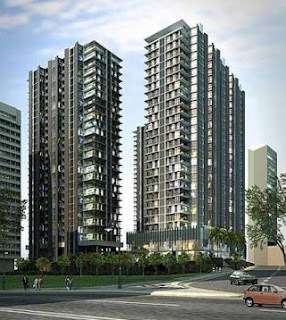 Their signature projects include the high-end Dua Residency Condominium in the K.L. City Centre and Idamansara and Seventy Damansara exclusive landed homes in upscale Damansara Heights. E&O's latest completed development is St. Mary Residences, located in the heart of K.L. 's Central Business District (CBD) area. The development is styled after Manhattan's iconic loft apartments and represents the latest in urbane and elegant city living. Interest absorption during the period of construction - E&O will foot the interest payment on your home loan during the construction period, which typically last about 4 years. Legal fee absorption - E&O will take care of your conveyance fee. Rental Assistance Program - This is an unique service whereby E&O will connect homeowners looking to rent their units to property agents and their potential tenants. The service is totally free of charge and will be undertaken for a period of one year from the date upon handing over of your apartment keys. This service is especially helpful to foreign investors, who may not have the necessary knowledge and resources to look for tenants by themselves. 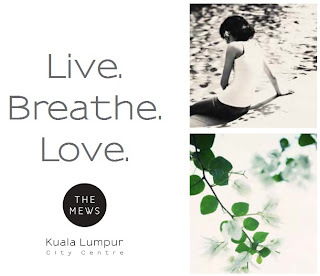 E&O will be launching their upcoming residential project, The Mews, in June of this year. This is a 256-unit freehold condominium project with two 38-storey towers. It is sited on Jalan Yap Kwan Seng in the K.L. City Centre, and within 10 minutes' walk to Kuala Lumpur Convention Centre (KLCC) - the wife and I will provide more details on The Mews in our next post. During the Q&A session, the wife and I raised the question about security in K.L. (amidst reports of kidnapping and robbery) and whether this has been a concern amongst potential home buyers especially foreign investors. The response from the E&O representatives seemed to suggest that K.L. is as safe as any other major cities around the world so one need not be overly concerned about the security aspects. However, this run contrary to what we have read in our local newspapers (which are not supposed to be biased, right?). Overall speaking, the wife and I found the talk very informative. We must admit that we were rather ignorant about property investments across the Causeway, so the E&O session has provided us with some really useful insights. With the existing property cooling measures in Singapore and the recent announcement of the high-speed rail link, the concept of buying a home in Kuala Lumpur, be it for investment or as a holiday home, may seem even more attainable to Singaporeans. And one must not forget about the attractive exchange rate as well! 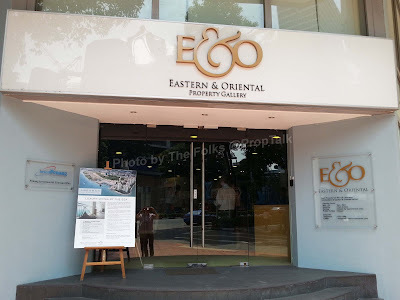 Finally, the wife and I will like to express our appreciation to the good folks at E&O Property Development (Fionna, Aileen & Jasmina) and Dubar-Jones & Associates (Janice & Atiqah) for the kind invite (and the sumptuous lunch, of course). Thank you! And more about The Mews in our next post! 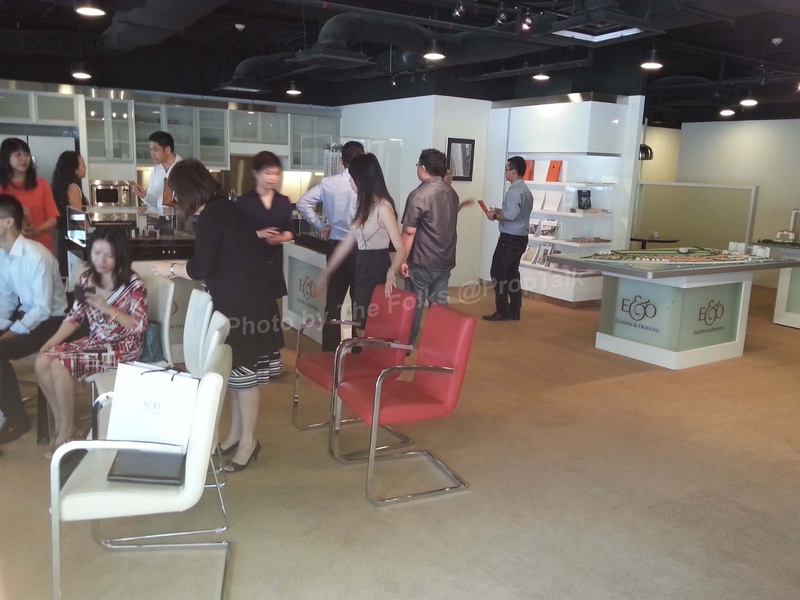 No Comment to " Our first "event appearance": Informal session with E&O Property Development "